Jay Hammond saw his first collegiate wrestling match in 1962 after matriculating at Lehigh University. He was a fan of the sport until he unfortunately succumbed to cancer in 2013. 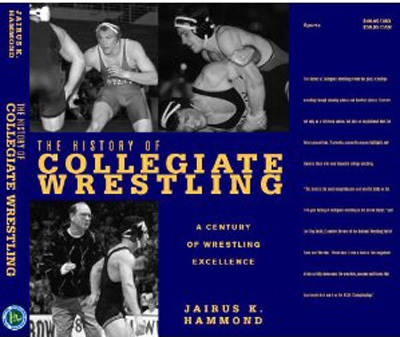 Hammond spent 25 years studying the history of collegiate wrestling and much of his research is available at www.wrestlingstats.com. He is co-author of “History of the EIWA Championships and was president of the National Wrestling Media Association as well as a consultant to the National Wrestling Hall of Fame and the National Wrestling Coaches Association. Following Hammond’s death, his friend and fellow wrestling historian Jamie Moffatt facilitated the completion of the book and has subsequently written the updates included in the addendum.